Vaggelis brings extensive experience in Technology fields such as Telecommunications and Information Technology for software, hardware and integrated solutions. Vaggelis holds a BSc. in Physics from the National & Kapodistrian University of Athens. As an executive, has outstanding records in Sales and Business Development, Brand/Product Marketing Management, Strategic and Market Planning, PnL Management, Channel development, Global Sales, Project Management working for Greek and Multinational brands, companies and organizations the last 20 years. 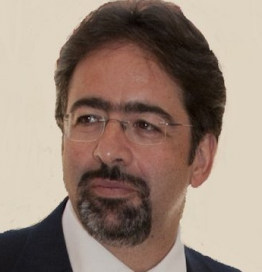 Vaggelis was Commercial Director (Fourlis Group) for SAMSUNG IT & Business Telecom portfolio from 2003 to 2014, Internet Sales Executive (MCI WorldCom) from 2000 to 2002 delivering IP infrastructure services, Business Unit Manager for Brother, Ricoh, Kyocera office automation solutions (4 years), Product manager for RDBMS and CRM systems from 1997 to 1998. Technological skills and expertise are about Unified Communications, Wireless, TCP/IP, VoIP, Cloud Computing, Virtualization, E-commerce Product Management, VPN, Network Security, Data Center, Product Marketing Mobile Devices delivering solutions for vertical markets such as Hospitality, Maritime and others. Everit and especially the One Appy project is established and is continuously developed to bring together our technology experience & the global trends of our today’s mobile world with our business customers and partners.